Since its formation in 2015 in Baltimore, Maryland, Wormhole has been spearheading the techslam movement, introducing strong melody, technical prowess, and virtuosity to hard-hitting brutal death metal. In October 2015, guitarists Sanil and Sanjay Kumar were joined by vocalists Duncan Bentley of Vulvodynia and Calum Forrest of Engorging the Autopsy, and one year later the band released their aptly-titled debut album “Genesis” on Lacerated Enemy Records. With influences drawn from Necrophagist, Abominable Putridity, and Defeated Sanity, the band has been described as “monumental”, “monstrous”, with “ferocious slams” that “bludgeon listeners senseless”. In July of 2017, they were joined by drummer Matt Tillett, and in December, Wormhole made their incendiary live debut at South Jersey Death Fest. 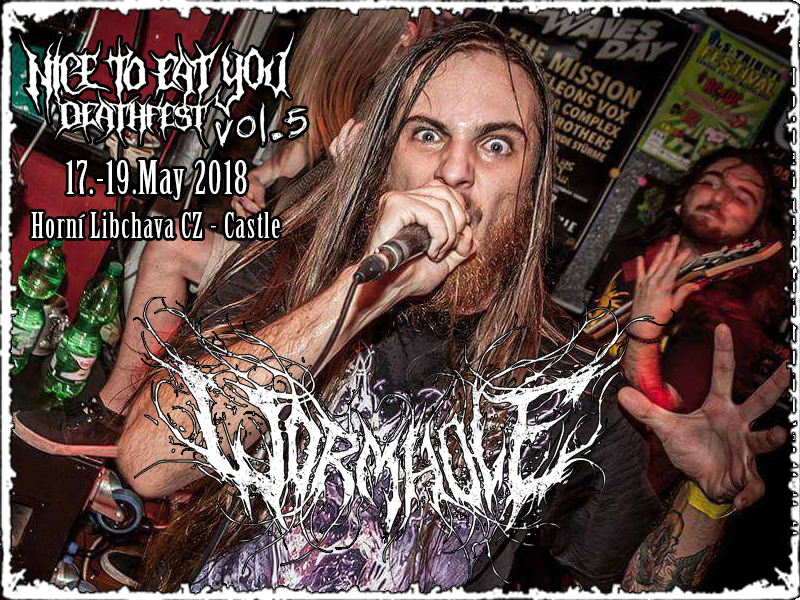 With a live line-up secured and a new album set to be released in the summer of 2018, Wormhole is bridging the gap between brutality and virtuosity and pushing the boundaries of what a death metal band can be.